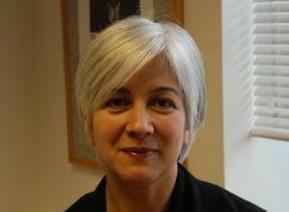 Paula Bernaschina is the Academic Writing and Language Lecturer for the School of Science and Technology. Based in the Learning Enhancement Team (LET) in The Sheppard Library, she can help you excel in your academic communication, whether this is in written assignments or oral presentations, as well as using information effectively and ethically in your work. You can also book 1-2-1 tutorials with Paula or sign up for LET workshops (links below). Free online dictionary resources from Oxford University Press. Free online talking dictionary of English pronunciation. OneLook Dictionary Search - 18 million words in more than 1000 online dictionaries. Study skills help from organization dedicated to the world of learning. Graduate Information Literacy Skills has been created by the NUI Galway with partners Trinity College Dublin and University College Cork. This online module is for PhDs and Post-Doc students. It is offered in blended online and face to face and fully assessed and credited. The Knight Digital Media Center is a partnership of the Annenberg School for Communication at the University of Southern California in Los Angeles and the University of California at Berkeley Graduate School of Journalism. The Knight Digital Media Center was launched in April 2006 to focus on helping journalists succeed in the rapidly changing media landscape of the 21st Century. Mondofacto Ltd, is an education company specialising in providing online learning and resources, their site has a section on structuring and planning a literature review. Practical tips and guidance on how to design, develop and present your research, available to Emerald subscribers. Select 'Athens/Institutional Login' at the top of the page to access. Guides include How to carry out a literature review for a dissertation or research paper, conducting ethical research, undertaking action and empirical research, research presentations, using questionnaires effectively and conducting interviews etc. Skills in accessing, finding and reviewing information from the Open University. This website provides practical advice on how to maximise your learning potential. It will help you identify ways of studying more effectively. Information on 'the key-issues in study' on this site from publishers Palgrave Macmillan has been prepared by Stella Cottrell, author of The Study Skills Handbook, Skills for Success, Critical Thinking Skills and The Exam Skills Handbook. A public service to help learners succeed, covering time management, problem solving, learning online, thinking, reading, project management etc. Selection of articles on study skills for those studying at PG level, particularly business subjects. Articles include managing management research and student projects, learning from work experience, surviving a viva, revision strategy and plagiarism etc. Articles are available to Emerald subscribers. Select 'Athens/Institutional Login' at the top of the page to access. Before you start your literature search use the worksheet below to plan what you are going to do. This should help you work systematically and provide you with a record of what you have done for when you write up your research methods.